I message to visitors in my home who may need to borrow a pen or a pencil. Bring your own. lol. I noticed Mal had some extra baggage in her pants. "Hey, Mal whatcha go goin' on?" 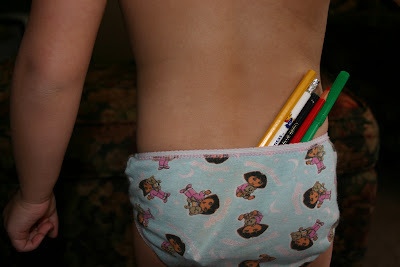 "Oh, I just am carrying my pencils in my pcoket."